Welcome to the BookGorilla Author Page for Colin Carvalho Burgess. He is the author of urban fantasy thriller series, The Tetris Trilogy. Book 1, The Tetris Effect, is available now. 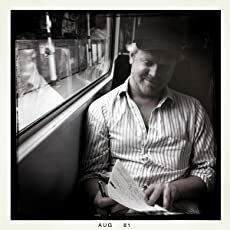 When he isn’t writing, he can mostly be found playing open world computer games or binge-watching cult television drama. He lives in London with his wife and two pesky cats. Please enter your email address and click the Follow button to follow Colin Carvalho Burgess!